There seems to be a certain age at which you are "supposed" to stop watching these things. My parents do not think it's normal that I still watch LBT. They think that at the age of 15, you should be over stuff like that. Not even one of my friends know that I like it. It seems that society has made a certain age limit to a movie and if you do not fall into that age limit but you still watch it, you are considered to be wierd or immature. I find that it is normal to like LBT at any age. I usually watch it whenever I get the chance. I have all of the lbt movies on my ipod and I sometimes watch them on the bus when no one is paying attention. I would be horribly embarrassed if a kid at school got a hold of my ipod and found LBT videos on it. I don't know why I would be embarresed. I only watch LBT on the computer at home because I can encrypt the videos so no one knows I have them. I bought all of the dvd's and ripped them onto the computer. Then I threw the origional dvd's away. Why are we so ashamed to like these video's? Why are we so concerned with others opinion? Why do people like to degrade others who still like LBT when they are past the age of 11? My actions and reactions are illogical when my life involves LBT and others. Where is the logic in embarressment and why do these movies make us embarressed? It seems to me from all of the previous responses that we typically watch LBT when we are alone. Is it truly because we can't find anyone to watch it with or is it because we are so afraid of becoming embarressed and what other people think? My parents and brother know I watch The Land Before Time series, but no one else - I don't have any friends, see. As for watching it alone, yep, unless I force my dad to watch a movie, which hasn't happened in...a few years. I remember trying to watch all of the movies in one day - I only got up to #5 before I wanted to do something else. No friends? That's sad. Well you have or will soon have friends here. How old are you? When did you first begin to like LBT? Do you have all of the movies? I am 17 years old. I began to like LBT around 1997 or so - I don't quite remember, but I was really young, young enough to be able to crawl through a cat door. As for all the movies, no. I only bought the movies up until number seven - everything after that didn't interest me much, sad to say. I never really hid the fact i watch them. I got em all on ither dvd or vhs that i put on dvd. I watch the series every time its new some times in the reruns as well. Now the same is also true of me and all animation. Ive watched arious land before times then poped in my reviewers cut (and yes its legally mine a friend gave me it when he was done with it ) of finale fantasy spirits with in or blood the little vampire or vampire hunter d.
So for me while lbt is my fave animated film its not the only animation film im a fan of nor the only style of animation. I like those triaminic thing strips comercials. A very simple style of animation but very cool it its simplistic nature. In a way telling a tory with that style of simple animation is more difficult than movies like lbt. I think its up to us when we hae kids to teach them theres no shame what o ever about enjoying animated films and shows. If the story is good and is a deeply involing one whats not to like"
I totaly agree with you there. When I was browsing through the postings, I found that a lot of people hid the fact that they watched them. I just don't think that many people are open to LBT. I don't know why. I love it. I must admit though that the last song on LBT 12 was pretty odd. I didn't like it so much. I thought that the song had no real purpose. If you notice, there is always three songs in the sequals. I think they wanted to uphold that pattern so they put an unessessary song in there to fill the gap. Other than that LBT 12 was excellent! What do you think? I think people shouldn't be very superficial. I'm 22 and I don't care if someone knows that I love LBT. Even my brother, who likely dislikes LBT, watches them; well, not as often as I do, but anyway, no one has the right to criticize LBT as childish, lame and boring, 'cause we LBT fans don't care if someone knows we watch the movies and/or series. So, what if the social rules makes us geeks? Social rules are also made to be broken. (Well, just in my case) So I think we LBT lovers should be treated the same way as other people in the world, and not like geeks. Well, I made up my point. That's all. I'm repeating myself as the topic has frequently come up of lately, but I don't really make a secret of my LBT enthusiasm, least of all towards my family. At university you won't see me walking around telling people: "Hey do you already know that I'm a diehard land before time fan?" expecting a "Wow that's cool!" in response. But I wrote the land before time as my favorite movie on my public university profile page. Everyone who cares to take a look at what I'm drawing and scribbling all the time will see LBT characters however and I don't keep them out of sight for anybody while not waving them over my head for anyone to see who doesn't care to look at it. I've been faring well that way so I'm not going to change it. If I was concealing it all the time I might risk being overseen by some other land before time fan who makes a secret of his enthusiasm some day (though I have yet to meet one living closer than several hundred miles to me). People are more likely to harass you with something you try to conceal from them. Being open about it takes quite some of the edge of their immature conduct. Some nice words there, Malte! My views on how I feel about The Land Before Time and if anyone knows I like it can be pretty much summed up on the topic Honesty. But the whole "Do You Watch it Alone?" thing, well, that wasn't exactly asked in Honesty so I can answer that one here. About three or so people watched it with me once or twice in my entire life, but the last time was many years ago, and that was it. So yeah, I watch it alone. Have been for a long time. My dad has told me for years that people my age don't like The Land Before Time except for "childish" me. (Sigh) These last years, if I ask my family to watch something on television with me, they'll usually say, "As long as it isn't The Land Before Time." (Sigh again) After coming here, I saw how many other people who aren't "kids" like it besides me. That knowledge is comforting, but I still have yet to meet someone face to face who will watch it with me since I was a teenager. So to keep me from being alone when I watch it, I simply- wait, nevermind. There is NOTHING I can do to keep from being alone when watching it because I have tried EVERYTHING and I am STILL ALONE when I place one of the DVD's in a player. How utterly annoying. My family acts like it's a forbidden topic and often cuts me off when I try to talk about it. I don't have any friends I can hang out with. A lot of people have closed their minds because of that cursed stereotype: "The Land Before Time is just for little kids." Rattles are for little kids because they can fully enjoy them because they understand them. I shake it, then it makes noise. That actually sums it up. But I doubt a seven year old could grasp half the things discussed here. Kids watch simply to enjoy, but our kind also tries to understand concepts. A child listens to "Friends for Dinner" from V and thinks it's fun to hear. We listen to it and think it's fun to hear yet notice things like since France has yet be established, the song has no reason to contain the phrase "a la mode." Every age can enjoy The Land Before Time, which the current 270 members of teenagers and above has proven. We can enjoy it because we are old enough to grasp its many concepts, yet we are despised frequently for being "too old." No one has a reason to judge us. We chose to keep liking The Land Before Time but we have no control over our age. Age doesn't automatically make people stop liking things, but many think it should for some reason. Blaiming others for reasons beyong their control is like making fun of a person who has freckles, is short, or has a crooked smile. These things make us who we are, and we can't help it that these attributes don't fit into others' list of "cool things." If there is something proven that is evil about The Land Before Time that corrupts people into commiting heinious crimes, fine then. You have an excuse to condemn us because we still stick with it. But our age cannot be controlled with will power, pills, or torture, so we WILL get older everyday. Is treating us differently because we are victims of time like everyone else but chose to hold on to what is dear to us the best that these people can come up with to talk down to us? 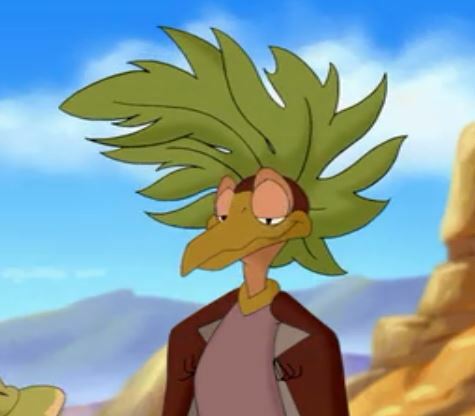 Next time someone wants to call us immature for liking The Land Before Time or says that there is no way that they would ever watch that, please explain the VALID reason to us for saying so. After all the these years, I am still waiting for one. I've mainly watched it alone. The first few times I had my friend who was my roommate at the time watched some of the movies with me. I think 5 and maybe 2. I think those were the first ones I saw, or it may have been 4. I watch it alone, but I'm not hesitant to engage in an LBT conversation if someone brings it up or watch any of the movies with someone who's interested in learning about the series . Hello. My name is Sharon and I love your website! My children watch the tv episodes every day but I cant seem to get them off my computer and I cant get any work done. All my children want to do is watch the land before time on your website, but it’s a little difficult for our three children (and my husband and I) to crowd around our small computer screen. We all love the land before time and I’m glad you made this wonderful website. Can you please tell me where to buy the episodes so I can get my computer back and so we can watch the movies on the much larger television screen? If not for the childrens sake then for mine. I really do love those movies and so does my husband. Yesterday was our anniversary and we made a day of watching the land before time while the children was away. It was wonderful. Any advice on where to buy the tv episodes would be of great help. It seems that many people like LBT, regardless of their age. I agree with The Friendly Sharptooth's statement that LBT isn't just for kids and that judging someone for liking something because they're not in the typical "age group" is wrong. I'm sure many people get introduced to LBT through their children or another person who likes it. There's nothing wrong with that. My immediate family knows that I watch it. My parents actually haven't expressed any problems with me watching it. Still I do watch it by myself since I'm the only one that's actually interested in it, my siblings making several offensive comments on the occasions that they happen to be in the room. I don't bother talking to any of them about it since I know they aren't interested in it. Something may be aimed at a certain age group but those outside it may like it as well. Though humans will always find a way to try to demean others so they can feel better them themselves, put the person a rung down then themselves, and other reasons. I usually watch alone - besides, it only airs at those hours - but parents and friends know it. I've even got a few friends helping me out on this. But even if someone did say anything about me watching it, I think its their problem, 'cause the only ones giving show was them since there isn't any problem with your own interests if its what you really like. But I'd never tell the kids at my school, They. Are. Jerks.